The Jeremy Lin phenomenon has been taking over ESPN and newspaper sports pages. Now even Las Vegas sportsbooks are feeling the effect. The odds of the New York Knicks winning the NBA championship have been reduced dramatically since Lin began his incredible run just over a week ago. 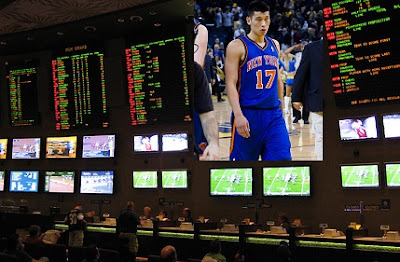 LVH (formerly the Las Vegas Hilton) has lowered the Knicks chances from 50-1 down to 25-1, while the Wynn sportsbook currently has them at 20-1, down from 30-1.